What evidences of God’s grace did you see at the IF gathering? Who was all involved in putting this event together? This year we had 13 churches support in various ways. From planning details of the event to getting the word out to their local church body. There is also a large team from North Church that serves in tremendous ways to make the event happen. It takes an army, and I cannot thank them enough for the work they put in year after year. We were blown away! I had to send my husband a few hours before the doors opened to add more tables and chairs because registration kept growing! We had close to 275 women come in through the doors between the two days! Are there any specific stories that come to mind of peoples’ experiences during the conference? I think the main thing I heard from women this year is how they were challenged to disciple others. 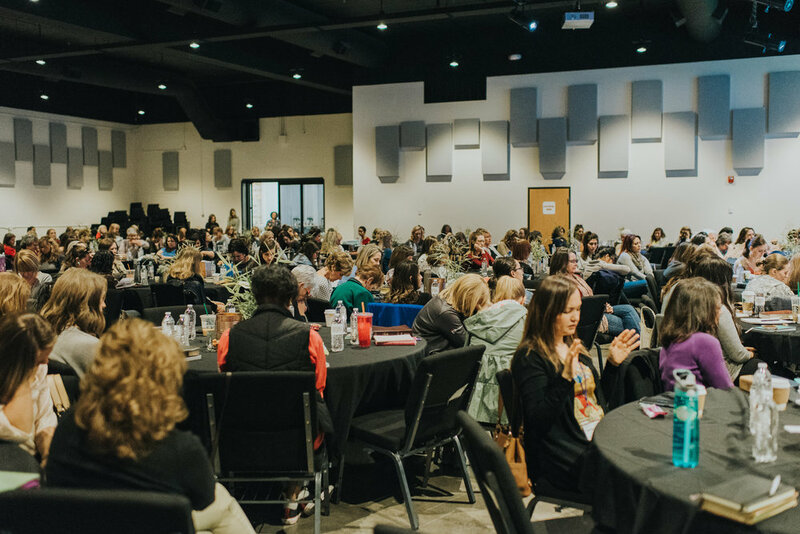 Discipleship was the key theme of the conference, and in very practical ways women began to think about who they could invest their life into or who they needed to ask for help if they were struggling. Stories like this one. “Hey Ashley! You asked us to email you with if gathering stories. Mostly I just wanted to tell you how encouraged I was. I was singing the last worship song and thinking about how there are girls that I want to pour into and that have been on my heart lately but also how in all the hundreds of women that were there, none of them knew me. I’ve been in Albuquerque for 7 months and I’ve been praying for a friend that would pour into me and “fan my flame”. I think I came to realize that I so badly wanted in that moment to be known. Do these gatherings have the potential to impact Albuquerque? If so, how? Yes, I believe they already do because they show the world that Christians are more united than divided. And even if we do disagree on little things, we all agree on the great thing that God sent His only son to become a man, to live the life that we couldn’t live, and to die the death that we deserved to save us from our sin, and all who believe in Christ will live forever with Him in glory. Since our time here is fleeting and Albuquerque is beyond broken, we can be more effective as a team praying and living for Jesus in this place integrated. We can be encouraged and know we are not alone, and we are all family! What will it take for these gatherings to continually happen? Mainly we need everyone to spread the word! Beyond that, if you want to help make IF: Albuquerque happen next year please email me at ashbritt14@gmail.com. Another way everyone can contribute is to donate to IF: Gathering. Without our support this conference will not exist. You can go to https://give.ifgathering.com/ !